Deep enough for relaxing soaks, the Laura 4.92 ft. Centre Drain Soaking Tub in White is a superb choice for smaller bathrooms or confined spaces. Contemporary styling and clean lines contribute to the freestanding bathtub's modern aesthetic, sure to enrich your bathroom ambience and add a hint of serenity. The acrylic construction is strong, light and warmer to the touch than typical steel or enamel tubs, allowing for easy installs and heat-retaining soaks. Overflow and drain outlets in a brushed nickel finish are included to complete the setup. Emily 68.88-inch Acrylic Flatbottom Centre Drain Soaking Tub in White Perfect for deep soaking, the Emily 5.75 ft. Centre Drain Soaking Tub in White is deeper than standard tubs for full immersion. Acrylic construction is strong, light and warmer to the touch than typical enamel/steel tubs. Included drain allows for quick and easy drainage. 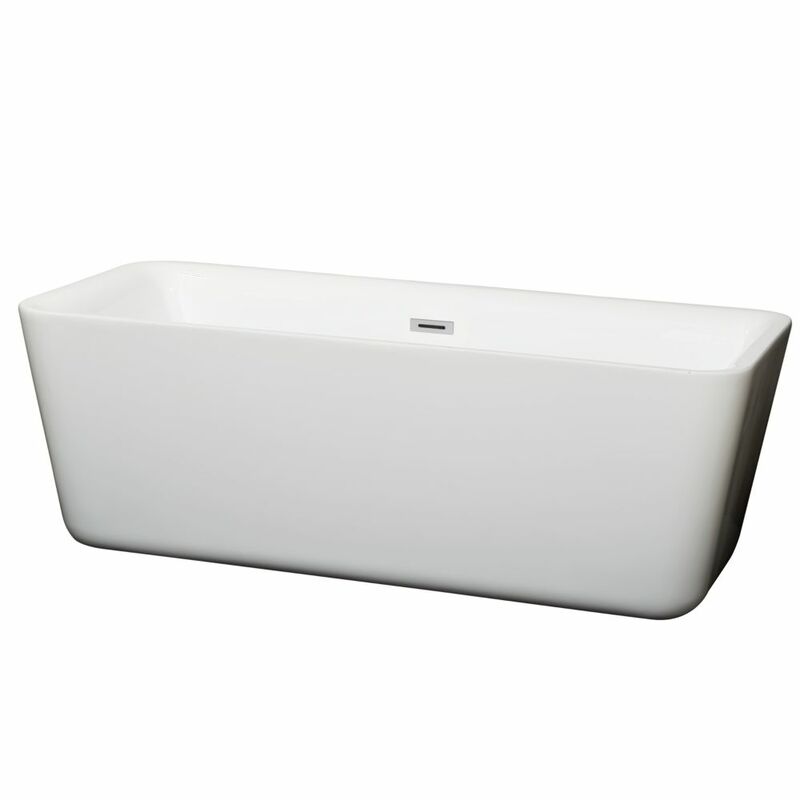 Emily 68.88-inch Acrylic Flatbottom Centre Drain Soaking Tub in White is rated 4.8 out of 5 by 5. Rated 5 out of 5 by now from Was concerned about the fiberglass, but very sturdy and looks... Was concerned about the fiberglass, but very sturdy and looks great, included drain assembly very solid! Rated 5 out of 5 by Brian from perfect for the new model this tub is awesome. I used this freestanding tub in my new model home, Have had many complements on this product.